Join us at OKC's largest New Years Eve Party Dec 31, 2015 from 9PM-1AM at the Chevy Bricktown Events Center. Date: Dec 31, 2015. Time: 9pm-1am. Location: Chevy Bricktown Events Center. Must be 21+ to attend. Proper dress required. Incredible sound, lighting, and video experience. Video countdown at midnight. Oklahoma’s largest balloon drop. 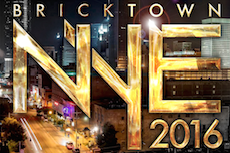 Join OKC's largest New Years Eve Party Dec 31, 2015 from 9PM-1AM at the Chevy Bricktown Event Center. Featuring Super Diamond – The worlds greatest Neil Diamond tribute band in concert plus OKC’s DJ Saad and Blake O. Incredible sound, lighting, and video experience. Video countdown at midnight and Oklahomas largest balloon drop. 2015 Chevy Bricktown Event Center. All Rights Reserved.